Twinfix has enrolled with Incensu, a national register of education suppliers which enables schools to select and work with approved companies with confidence. The scheme, provides a comprehensive resource of trusted companies that are recognised and recommended by other education facilities. Twinfix have installed canopies for a huge number of schools, academies and early year settings, helping to create the perfect structure and scheme for maximum use of an outdoor space and consistently demonstrating value for money, honesty, quality and reliability across a wide range of projects. 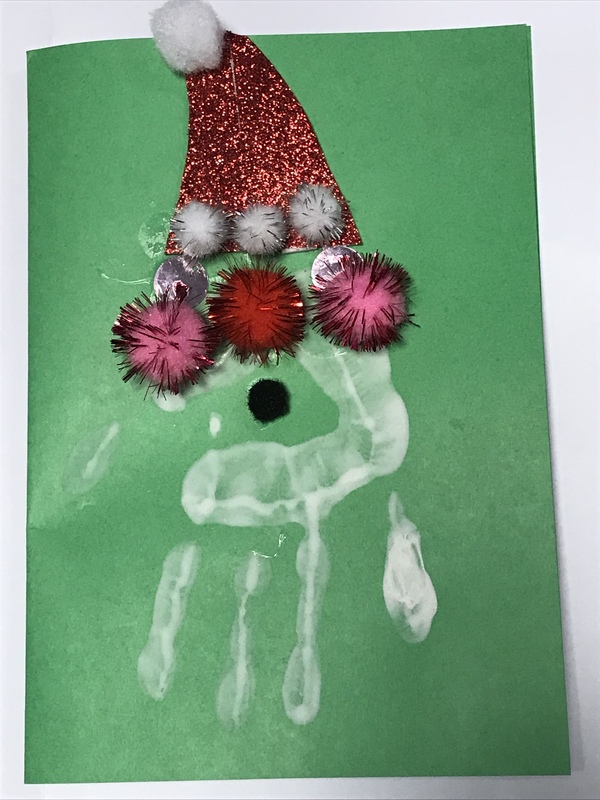 We believe that membership will enable the company to create a positive change in many more schools and academies across the UK. Read more about how Twinfix canopies can benefit the education sector. 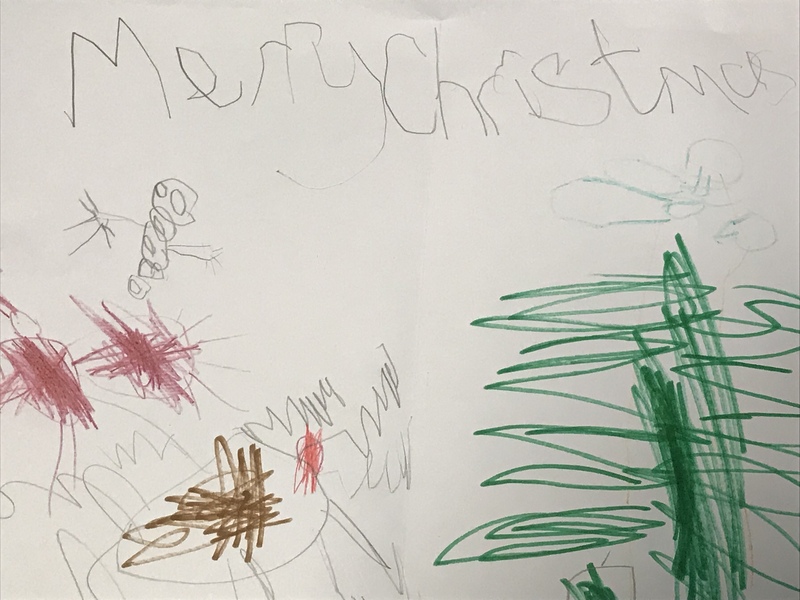 Canopies are often popular in primary schools because there is an expectation by Ofsted that children, especially in the Early Years Foundation Stage, should have access to the outdoors and be able to enjoy activities outside. 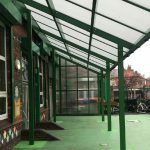 While canopies provide shelter against the inclement British weather, many schools see their canopies as an extension to the classroom environment, relieving pressure on space in schools. Many schools have discovered the benefits to be gained by installing a Twinfix canopy to gain additional space for pupils to learn and play, rather than extending their classrooms using traditional building methods. 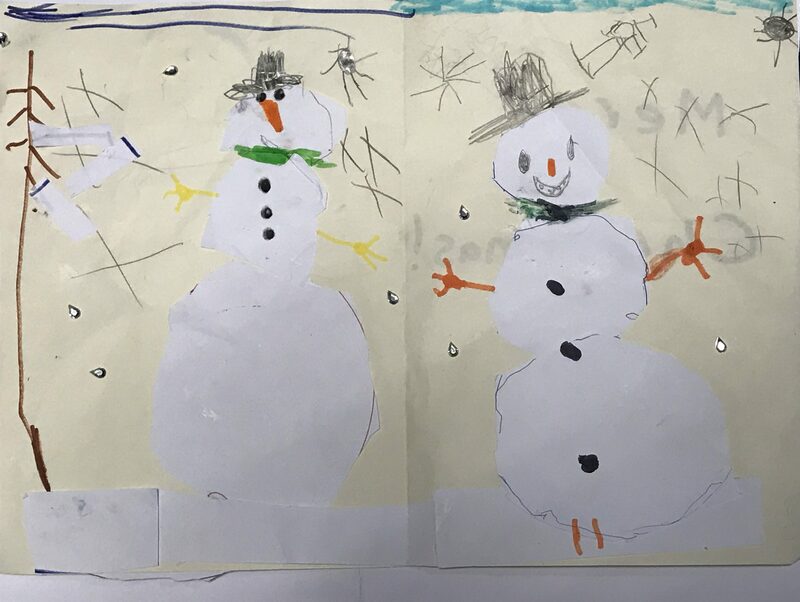 St Anne (Stanley) CoE Primary School in Liverpool was looking for a cost-effective alternative to an extension to increase space for learning and play for their pupils. We installed a freestanding mono-pitch canopy on behalf of Arcadis, which provided the school with 84 square metres of additional space to play outdoors. 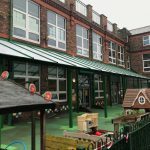 Manufactured in the Twinfix factory with an aluminium frame polyester powder coated in RAL 6002 Leaf Green to match the school colours, the roof consists of Multi-Link-Panels NF fitted with opal 16mm multiwall polycarbonate. These glazed panels are Non-Fragile to the recommended roofing assembly test ACR[M]001:2014. The vertical side glazing offers protection from the weather all year round whilst allowing light into the canopy. 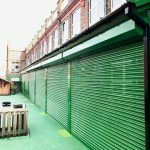 Roller shutters were included to offer security and additional storage space for outdoor equipment. The canopy was installed by one of the Twinfix DBS checked teams. With budgetary cuts affecting everyone nowadays, it’s good to see that having to cut your cloth a bit can result in great benefits – providing a cost-effective and multi-functional building for students’ use. Achievement of this standard means we meet the highest pre-qualification requirements appropriate to public and private sector procurement as a supplier to the construction industry, therefore demonstrating our high levels of health & safety, governance and risk management. In our industry, safety is paramount and we pride ourselves on an impeccable track record. Our training and staff development programmes ensure all personnel working on site are equipped to carry out their duties with minimal risk to themselves and their co-workers. When a customer undertakes a project with us, they can have confidence that they are buying high quality, safe and long-lasting products and our service from initial enquiry, through to installation and after sales service will be first class and highly professional. 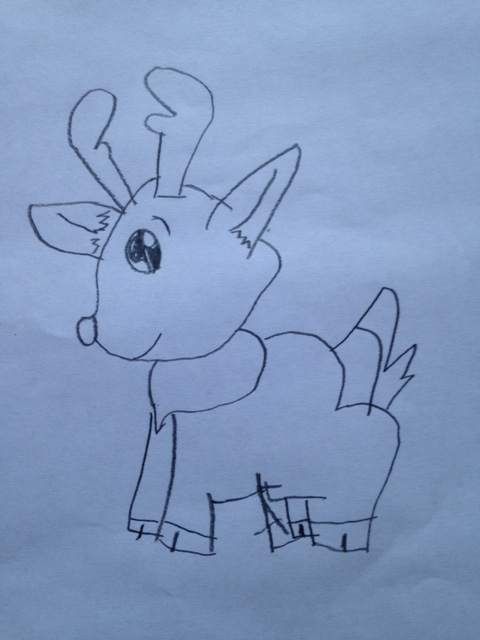 Luke is one of the designers here at Twinfix and one of the original members of the Twinfix family. 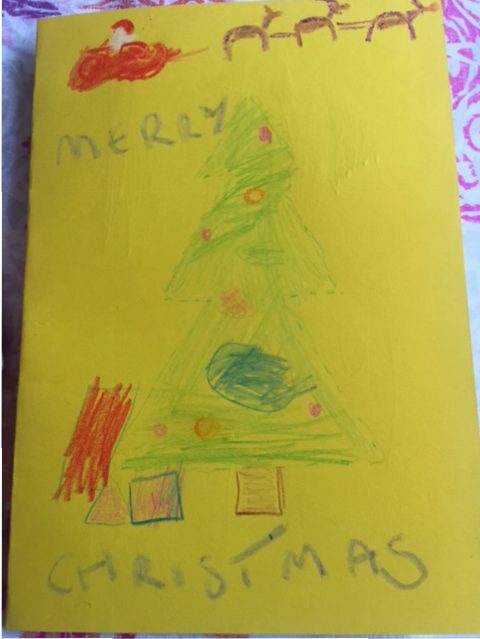 He joined the company in February 1994 when our offices were at Gawsworth court and we were a small team of 12. 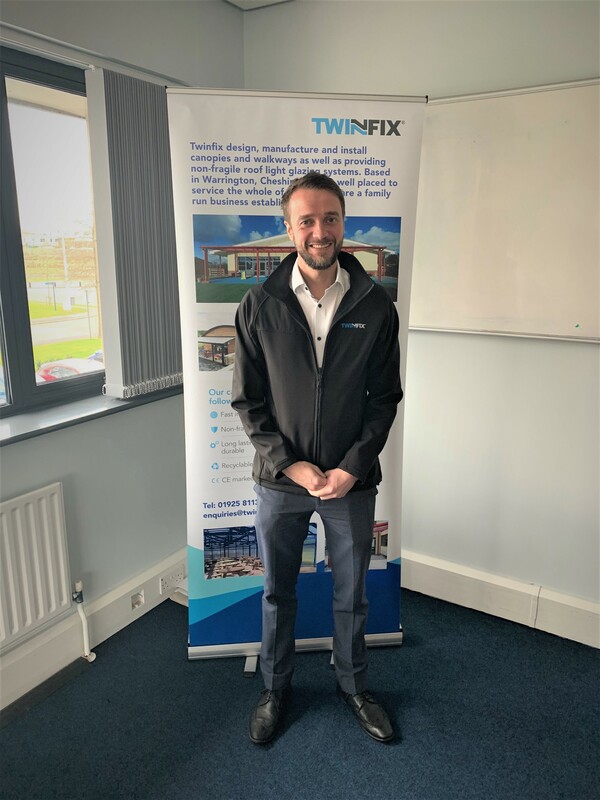 Over the last 25 years, Luke has seen many changes at Twinfix, from relocating to Cavendish Place, growth of our fantastic team and the launch of our innovative Georgian wired polycarbonate to name just a few. We thank you for all your hard-work and dedication and look forward to continuing our journey together. 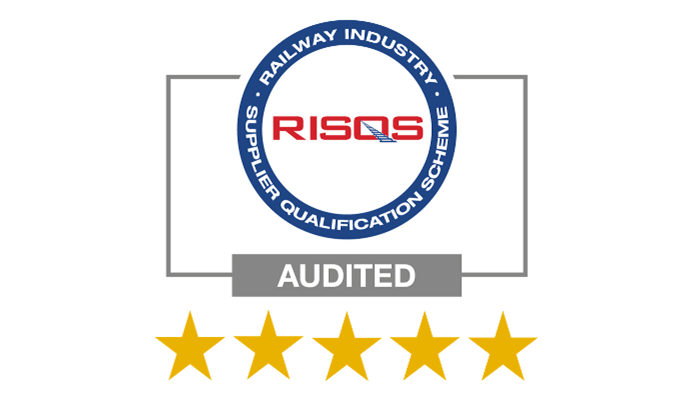 Twinfix is delighted to announce we have passed a recent Railway Industry Supplier Qualification Scheme (RISQS) audit with the highest mark available – a 5 star rating! The RISQS audit is an annual audit that must be successfully completed to allow us to work on the Network Rail Infrastructure. It is also a critical requirement for a number of our clients, and therefore imperative that we demonstrate conformity to the rail industry’s health and safety, quality and environmental practices. Twinfix are approved to undertake the design, manufacture & installation of specialist roofing systems and to sponsor our team’s PTS training for survey and rail works. For more information on the Railway Industry Supplier Qualification Scheme click here. 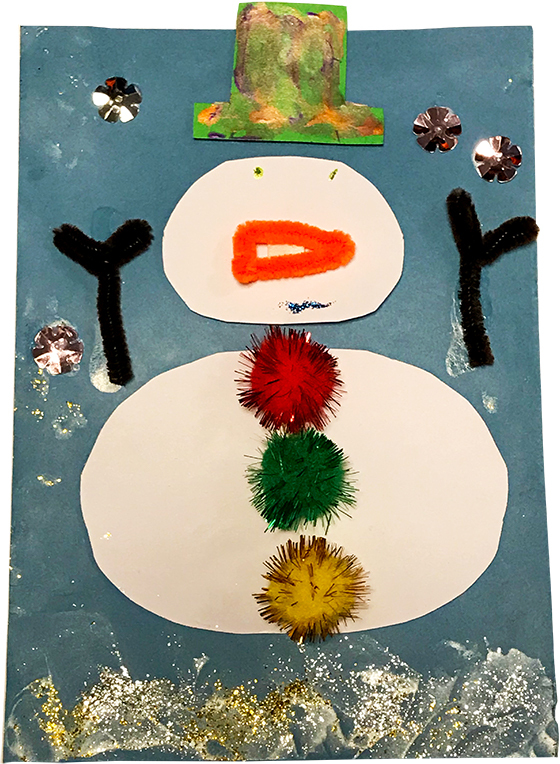 We are delighted to have been involved in a recent project that saw ISG deliver a phased programme of new and refurbished primary school facilities across Greater Manchester. The aim of the project was to meet demands of the increasing student population across the region. 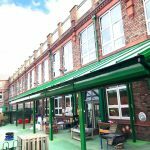 Working alongside Premier Modular, we designed, manufactured and installed 17 canopies at 7 schools in the city. Twinfix originally designed and installed four canopies at St Margaret’s Primary School, which led to us being invited back to assist with phase 2 of the project and installing canopies at a further six sites, including Lily Lane Primary School, Moston; Webster Primary School, Moss Side; Ringway Primary School, Wythenshawe and Beaver Road Primary School, Didsbury. All our canopies hold the CE mark of safety, were installed by our team of DBS checked installers and are manufactured close by at our factory in Warrington. The roofs comprise of our Multi-Link-Panels NF, glazed with tough 25mm clear multiwall polycarbonate. These panels are Non-Fragile to the ACR[M]001:2014 drop test. The aluminium frames were powder coated to match the school exteriors. Using aluminium for the framework is our material of choice as it is such a versatile product. It can be formed into many shapes, it is relatively light in weight – making it easier and safer to handle and install. 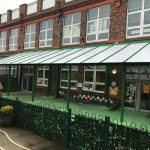 Aluminium is a great choice for a school canopy as it doesn’t rust in use and will stand up to the test of time – and children! 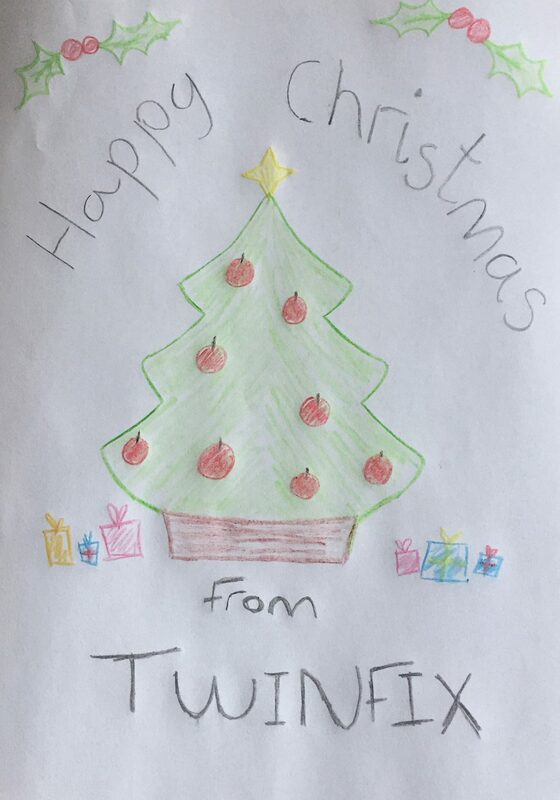 This year we invited the children of Twinfix to enter our Christmas card competition. 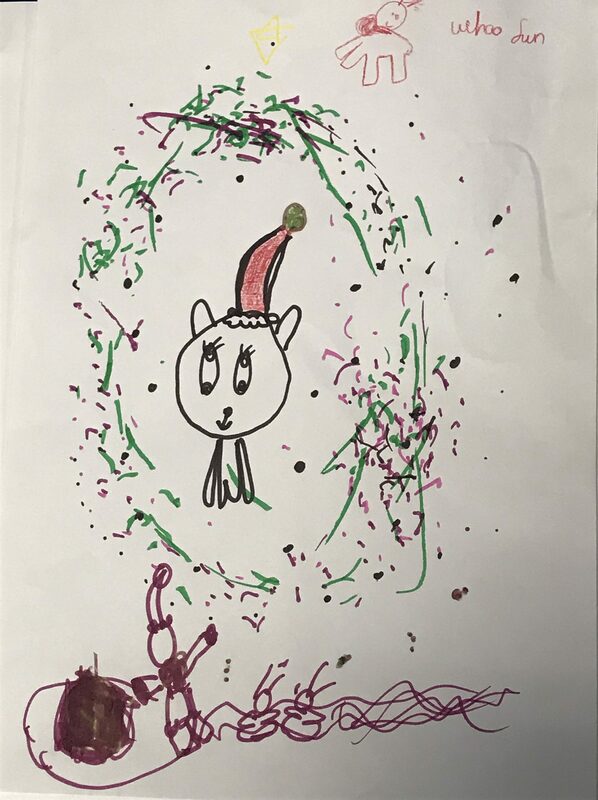 We received some fantastic entrees from family members of employees across the business and are pleased to announce that Jayden-Lee age 4, who is the nephew of Lyndsey our Management Accountant, won the competition to design our Christmas greeting card with his lovely snowman. 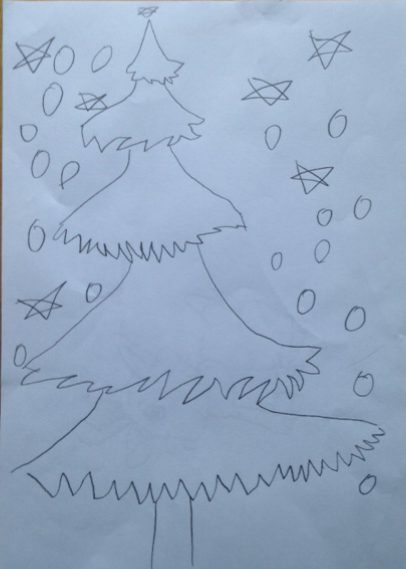 A big thank you to all who entered. We urgently require skilled production operatives, ideally with experience in factory production to work at our premises in Birchwood. If interested please email your CV to sarah.kench@twinfix.co.uk. We are looking at recruiting an External Sales Person to sell our product range to our customers in the south of England. These customers will mainly be Main Contractors and some School Directs. Specification selling will also form part of this role managing sales in excess of £1 million. Responsibility for managing and proactively developing business and sales in your sales area. A highly driven sales person who is always striving to hit targets is essential as well as strong account management skills. The ability to work independently and be a self-starter is key to this role as it’s based outside of the office. Strong computer skills are essential. Experience of selling to Main Contractors is essential. Desirable would be experience of selling canopies or street furniture via Main Contractors and also experience of specification work. We would consider a background in rooflight or building envelope materials.